How long can Americans continue to pretend that nothing is wrong? How long can we pretend that we are still the same country that believed in, “Give me your tired, your poor, your huddled masses yearning to breathe free” (Engraved on the Statue of Liberty). Today we strike down the man trying to find the very same freedom from tyranny that we once offered to all, and condemn him for a vagrant or freeloader instead of looking inward. What problems have we created by providing too much or too little? Looking inward is something we have not done as a nation in a very long time. To Look into ourselves and ask why we see things so differently from our original founding ideals that once inspired the world. Some will say that times have changed and that those ideals, while honorable and valiant, are outdated and must be adjusted to resonate with current society. This is a cop-out, while admittedly well put, designed to make us slowly forget. Ideals, such as morals or principles, are something that, if one is strong in belief, will not be touched by time. They are internal guidelines that, if desired, allow us to hold true to a chosen path with confidence and conviction. As we grow comfortable and complacent, there are those who would feign patriotism and honor; waving a flag in one hand while pocketing money with the other. We stand in judgement of the world, crying out against all the very same things that we allow to continue within ourselves. That is not a fight against tyranny. That is hypocrisy at its basest level. We as Americans have allowed this to go on long enough. In this modern time of instantaneous communication, average citizens have the power to collectively rise together and call for change on a grand scale. We may be separated by time and distance, but electronically we are bound by our conviction for moral truth, and are stronger than any individual. It is our duty as Americans to help this nation rediscover its true and original path. The Declaration’s fourth self-evident truth is that when a government is destructive rather than securing its citizens’ rights, those citizens have a right to revolt or alter the current state or their government. 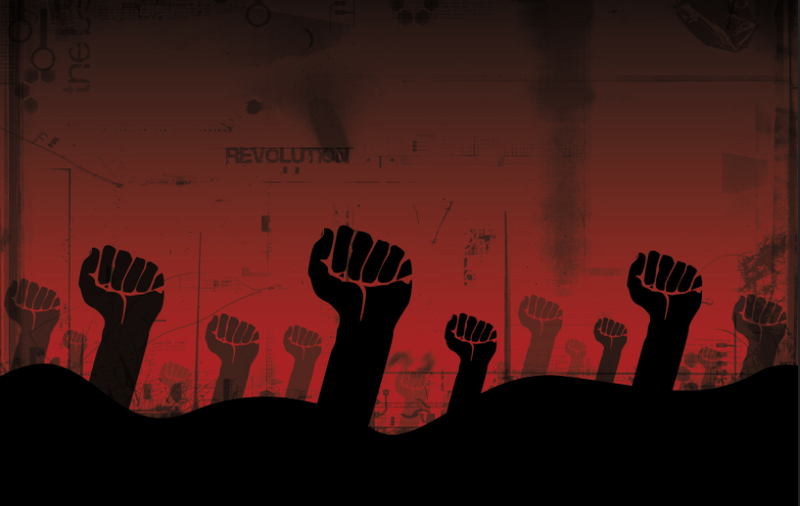 Revolution is not the answer; at least not on a violent level. We need a revolution of words, ideas; a revolution of the mind. To alter not only our own perspective but that of our leaders who have led us astray. Beginning at the local level, where actual change can take place. It will take more than one proverbial strike to awaken this country from its moral atrophy; to raise it back to the path of sovereignty. We dance the line of liberty and oppression like a tight rope, holding on to our history like the life balance that it is. We must never lose sight of where we came from and the dreams that led us to our way of life; they will always guide us home.